Jason Orville Pridie was born October 9th, 1983 in Phoenix Arizona. The six foot one left hand hitting outfielder was drafted out of high school by the Tampa Bay Devil Rays in the second round in 2002. He spent six years in the minors, getting drafted away by the Minnesota Twins but was then sent back to Tampa. In November 2007 he was Traded by the Tampa Bay Devil Rays along with Brendan Harris and Delmon Young to the Minnesota Twins for Jason Bartlett and Matt Garza. That season he hit .303 with 17 HRs in the minors between AA & AAA. He got a September call up playing in ten games going hitless in four at bats. In 2009 he spent the year at AAA Rochester hitting 13 HRs batting .270 getting a chance to play in one game at the major league level. He was placed on waivers & picked up by The New York Mets in February 2010. Pridie got a chance to play for the Mets when centerfielder Angel Pagan went down with injury in 2011. Pridie debuted on Aprill22nd going 0-3 in a 4-1 Mets win over Arizona. 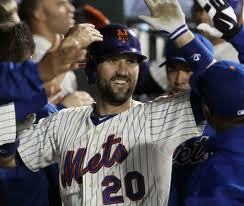 The next day he got his first Mets hit & then on April 24th he hit a three run HR leading the Mets to an 8-4 win. On May 6th with the Mets down 3-2 to the Los Angeles Dodgers at Citi Field, Pridie hit a three run HR off Hiroki Kuroda leading the Mets to a 6-3 win. 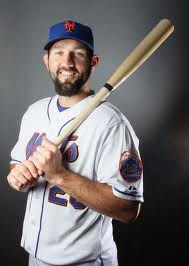 He managed to squeeze himself into 101 games for Terry Collins Mets batting .231 with 48 hits 4 HRs 11 doubles 3 triples 20 RBIs & a .309 on base %. In the outfield he played 75 games making two assists posting a .984 fielding %. He was opted to AAA Buffalo at the end of the season but chose free agency & signed with the Philadelphia Phillies. During Spring Training 2012 he was found guilty of violating MLB's Joint Drug Prevention Treatment Program, getting suspended for 50 games. He saw action in nine games with the Phillies in July batting .300 (3-10). He hit a three run HR on July 8th in a game against the Atlanta Braves although the Phillies lost 4-3. He was sent back down to AAA when many of the teams injured players returned. Pridie made appearances in Baltimore (2013) Colorado (2014) & Oakland (2015) before ending his career. After seven seasons he played in 133 games batting .216 with 5 HRs & 24 RBIs. Family: Pridie is married to former Arizona State professional softball player Bianca Cruz. Since her playing days she has become a successful model.